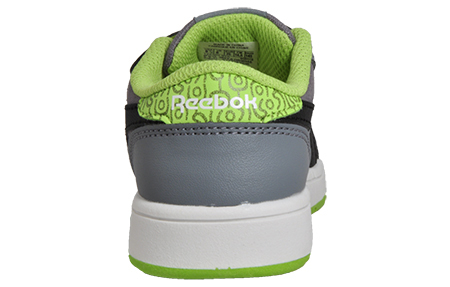 With an ultra-cool vulcanised outsole, a cosy sockliner and super cool grey colour detailing throughout, this low-cut Reebok Royal Complete trainer is the complete package for kid-friendly everyday style. 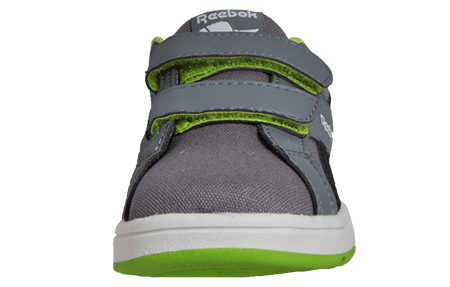 Featuring a grey textile canvas upper with the iconic Reebok vector to the side in black synthetic for added support, this Reebok infant’s trainer is finished with a low-cut design for freedom of movement to help active little kids explore in confidence! 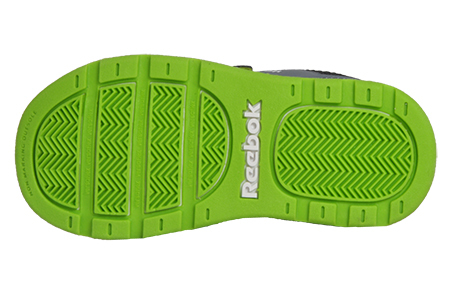 These infant’s trainers feature a foam sockliner for long-lasting cushioning fused with a padded collar, tongue, and cushioned insole for additional comfort. 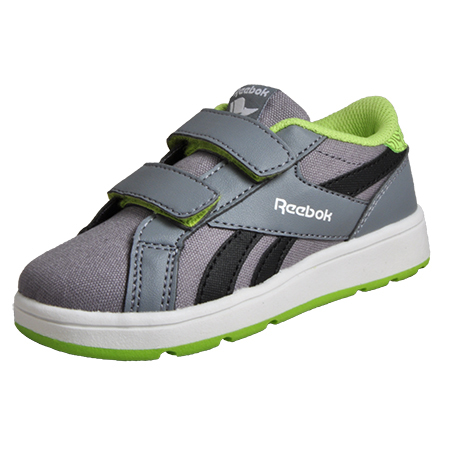 Designed with a double hook-and-loop Velcro closure for a snug fit and easy on / off wear, your youngster can put these shoes on all by themselves, whenever they ready to go! 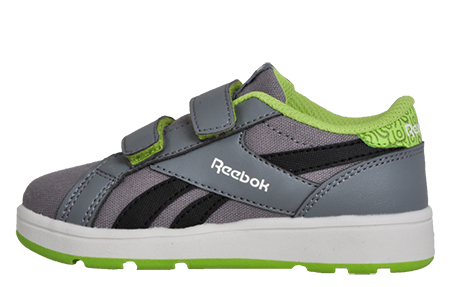 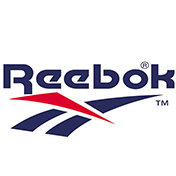 Finished with a vulcanised non-marking Versaflex rubber outsole for outstanding durability and traction and premium grip on a wide variety of surfaces, your little one can wear these Reebok Royal Complete trainers with confidence, giving you piece of mind, their feet are well taken care of.